Fill out the form with any questions or inquiries you have for the sales consultants at Liberty Square at Wesmont Station. You can also call or chat with us for immediate responses. Community will be on the right. One of northern New Jersey’s most desirable locations, Liberty Square at Wesmont Station is the envy of Bergen County, and part of the Wesmont Station transit village, with direct access to New York City. Our consumer inspired designs offer the latest in smart home technology and quality construction. Our community offers both close proximity to New York City but a quieter place to retreat. The life you want to live is waiting for you at Liberty Square at Wesmont Station. Explore this community and see for yourself. Liberty Square at Wesmont Station in Bergen County allows residents easy access to New York City with a quiet place to call home. Enjoy the convenience of a NJ Transit train station on-site and future retails shops planned just steps from your front door. Love to shop? Explore abundant retail at Shoppes at Riverside, Bergen Town Center, and the renowned Paramus Park. Just off of Route 17, Liberty Square at Westmont Station is just 30 minutes from NYC via the Bergen Line, which you can catch onsite via the brand new New Jersey Transit station. 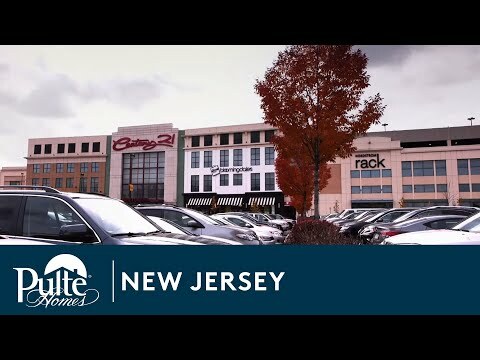 Enjoy shopping at the Garden State Plaza Mall or explore the great outdoors, with Bergen County Park System’s thousands of acres of sprawling green space and golf courses. Liberty Square at Wesmont Station is a transit-oriented community with an onsite NJ Transit station offering access to New York City. Also enjoy retail and grocery within walking distance.